There is something nice about waking up early, getting into a car and setting off on a day of beer discovery. The world just seems a little brighter, friendlier and tastier. First I was off to Heule, near Kortijk, for the “introduction day” for the 2009-2010 brewing class at Brouwerij Alvinne. I think more educational institutions need to cater to the needs of the humble student like Glenn does. No sooner had I walked in the room than I was handed a beer. 9am is not too early is it?. We had a thorough tour of the delightfully small brewery and then got down to the serious business, tasting a range of Alvinne beers. 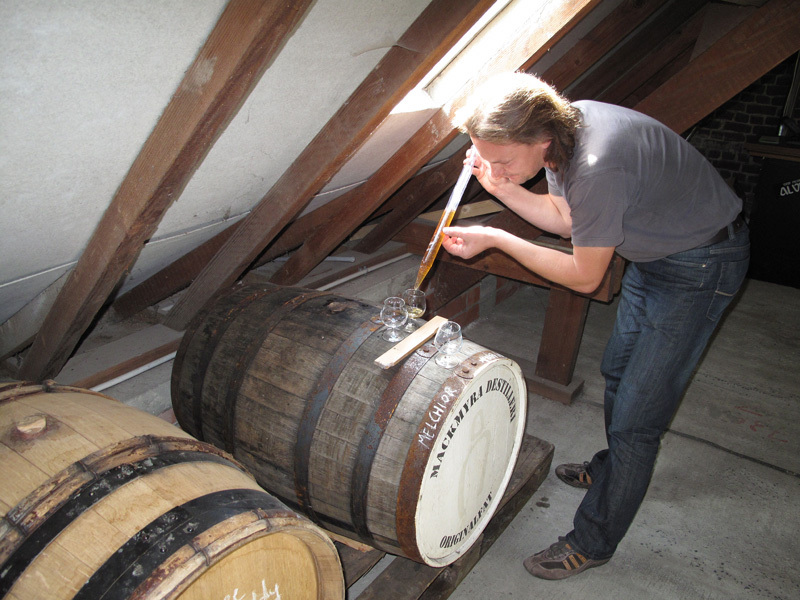 Now don’t get the wrong idea, we will be learning the intricacies of the brewing process, but for this first lesson we had to learn what Brouwerij Alvinne is about, and that needs to be tasted. Off to my next destination, Kessel-lo (near Leuven). Today was the first gathering of the Vlaamse Hobbybrouwers Forum. Organizer Marc put together a well planned event. Again, the beer samples were tasty and the beer talk flowed freely. Unfortunately I had missed all of the early activities since Heule and Kessel-lo really aren’t close to eachother. 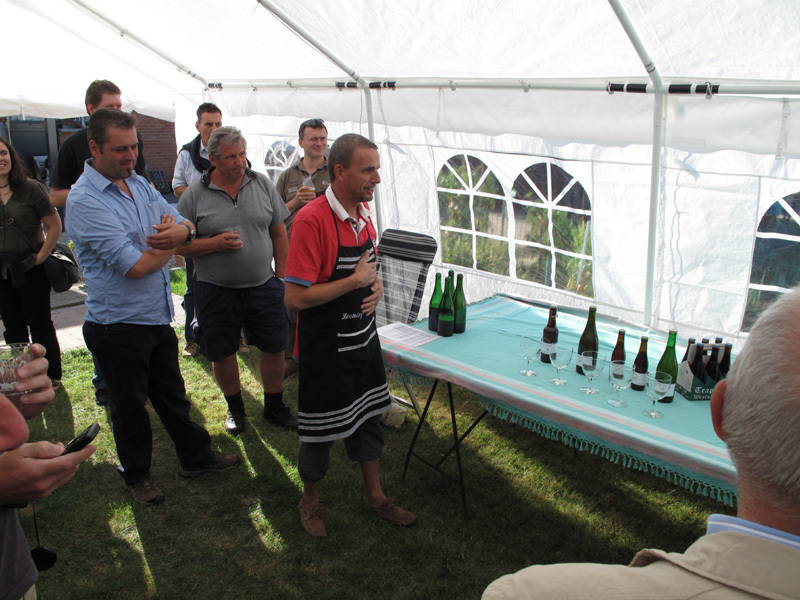 This event also included a homebrew competition which I had entered. The judges were locked away in a tent in the corner of the yard, away from prying eyes. We knew that the beers must have been good because it seemed to be taking the judges longer than planned. So, who ending up winning? Well, the winner of the first “Flemish Homebrewer’s Forum” homebrew competition was an American, me! The winning beer was Hop Nest which you will be familiar with if you follow this blog. Besides the obvious prestige, I won a 6-pack of Westvleteren (always nice to have) and a stack of good looking beer books to add to my library. Unfortunately I had to then immediately leave. It would have been nice to stick around and get to know everyone and their beers a little better, but the timing just wasn’t right and I wanted to get back to see my baby. Many thanks to Marc and everyone who helped put together a wonderful event. I have to say that today was a very good day.